There are a lot of great reasons to own a home. It’s a long-term investment in your future. It’s an asset that can become more valuable over time. And you have the security and pride that can only come from owning your own property. But as we all know, owning a home is often a difficult and expensive process. 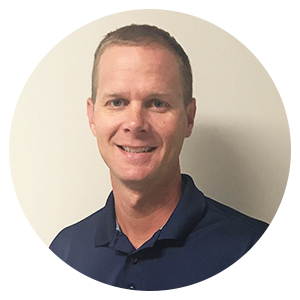 It’s important to select the mortgage program that works best for you – and for a lot of folks that means looking at an FHA loan in Illinois and the FHA loan requirements Illinois. We’ve compiled a list of some of the most common questions about Illinois FHA loans and answered them – and if you’re from Illinois yourself, maybe you’ll find that this type of mortgage is right for you. What is an FHA Loan in Illinois? An FHA loan is a type of housing loan that is insured by the Federal Housing Administration, which is a department of the United States federal government. The loan is still issued by a private moneylender or bank, but because the FHA promises the reimburse the lender if you can’t make your payments, lenders are willing to make much more substantial loans than they would otherwise. In some cases, they will even grant mortgages to applicants who they would normally reject outright! This makes the FHA Loan a great choice for first-time homeowners, low income families, and buyers who are interested primarily in making a low down payment. Click here for more information on FHA Loans. What are the different types of FHA loans in Illinois? A 5-year adjustable rate FHA loan in Illinois is an option that’s ideal for low-income and moderate-income families who are buying their first home. An adjustable rate loan starts at an interest rate that’s lower than the fixed rate, usually by about one percent.This interest rate holds for five years without changing, which gives the loan recipient time to save up for the larger payments to follow. A fixed rate FHA loan in Illinois is an option that’s recommended for buyers who want a home but who haven’t been able to save up money for the purchase, often young first-time buyers who have just graduated college or who are recently married.A fixed rate loan keeps the same interest rate for the entirety of the payback period, which is usually either 15 or 30 years. If your payment changes at all, it will only be slight adjustments arising from deviations in insurance or property taxes. A condominium unit FHA loan in Illinois is for loan applicants who want to buy a condominium unit instead of a traditional house. Condominium units usually – but not exclusively – appeal most to low-income and moderate-income singles. FHA loans Illinois have a much smaller down payment, charging only 3.5 percent of the total home’s value instead of the more typical 20 percent.This is the biggest advantage of an FHA loan and why this type of loan is most popular with buyers who haven’t been able to save up a lot of money for the purchase of a home. FHA loans in Illinois have much more flexible requirements.FHA-insured lenders will accept credit scores of only 580 and have no minimum income requirements. They also allow for a much higher debt-to-income ratio than traditional mortgages – sometimes approving D-I ratios as high as 50% in place of the usual 31%. FHA loan recipients have to pay an FHA funding fee which usually comes out to about 1.7 percent of the total mortgage. This fee goes to the Federal Housing Administration and is a way for them to protect their investment. Think of it as an insurance premium. FHA loan recipients can’t cancel their Private Mortgage Insurance until they’ve completely paid off the home. In Illinois, conventional mortgages typically let homeowners cancel their PMI after they have accrued equity equal to 20 percent of the total value of the property. FHA loans tend to have slightly higher interest rates, which is how the banks and moneylenders make back their money from the small upfront down payment. This means that FHA mortgages usually cost less up front but can end up costing more than a conventional loan in the long run. FHA loans often have lower loan limits than some conventional mortgages. You can see a per-county list that’s up-to-date for 2018 here, but for most counties in Illinois FHA loans can only pay off a property that costs $294,515 or less. This is perfect for a low or moderate income family but may hurt those who are looking at high-cost areas. In addition, properties have to meet certain eligibility requirements as described in the 21-page checklist in Chapter 3 of the Department of Housing and Urban Development’s Handbook 4150.2. As well as additional requirements for condominiums, which you can see at HUD.gov. Believe me, these are things you want if you’re committing to paying off a property for 30 years. How important is credit when applying for an FHA loan in Illinois? If you’re applying for a loan, you need a certain amount of credit, but FHA loans Illinois have much lower credit requirements than conventional loans. In Illinois, FHA Underwriters usually require a FICO credit score of 580, and will require three open trade lines on your credit report, each of which needs to have been there for a minimum of 12 months. However, having a credit score under 580 won’t necessarily keep you from qualifying. Some banks will accept credit scores as low as 500 – but be aware, they will need to make up for that elsewhere. Lower credit scores usually mean higher down payments – sometimes as high as 10 percent. That’s about 3 times the down payment on a typical FHA mortgage, though it’s still lower than most conventional home loans. In addition, you may not have to have a traditional FICO credit score to meet Illinois’ requirements for an FHA loan. Some lenders will now allow alternative forms of credit, like a long-standing account with your phone or cable company, in place of a credit score. What are the FHA loan requirements in Illinois? A minimum credit score of 500 or two forms of alternative credit. These are the minimum requirements set by the state and federal government, though lenders will often set their own standards. For example, almost all FHA Underwriters require a credit score of 580 and a debt-to-income ratio around 30-40 percent in order to get the lowest possible down payment. However, it’s always worthwhile to “shop around” for a lender that can meet your needs. How do you receive an FHA loan in Illinois? Despite a common misconception, the Federal Housing Administration doesn’t originate FHA mortgages. You will need to find a bank, mortgage company, or other moneylender who works with the government to give out these kinds of loans. Because these loans are so popular, most lenders will probably have some kind of FHA program in place. Once you’ve shopped around and found an FHA-partnered Illinois lender with terms that work for you, you will have to apply for the loan. A representative will ask for proof of your job history, credit score, and income documentation and will check to make sure you fit the federal requirements listed above as well as the requirements of the moneylender. This process works just like it does for any other loan. 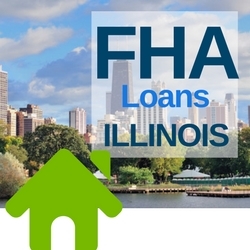 What are the FHA loan rates for Illinois? That depends. The real estate market is in a constant state of flux and loan rates often change on a daily basis depending on current economic indicators. Besides, Illinois is a big state – the rates in Chicago will be different than the rates in, say, Galena. Do research to see which vender in your area is offering the lowest rates so that your payments won’t become too much to handle down the road. Do you have to be a first-time home buyer for an FHA loan in Illinois? No – there is no truth to this common misconception. FHA loans are often recommended for first-time home buyers because their advantages appeal most to that income bracket, but anyone who meets the minimum requirements printed above can apply for this type of loan. The idea of a “maximum income limit” is another common misconception with no truth to it. While FHA loans are usually best for those in low or moderate income brackets because of the steep loan limits and somewhat higher interest rates, there is no maximum income limit for FHA loan applicants in the state of Illinois.